We live amid a daily flood of sensations—these sights, sounds, and tastes are the material of poetry. Artists take these sensations and then braid them with memory and insight into a poem, or a painting, or a journal, or a memoir, or a…you get the point. Using cookbooks, nature field guides, and seed catalogs, we will look at how to begin following those sensations back into our minds, and how to forge the result into something interesting, even if--especially if—only to ourselves. ​of thoughts on my desk, as a nifty paper clip of copper. that let us tell Art Tatum from a three year old's improvisation. on our sidereal drift, our existential pain. ​and into next week, next year, next whenever. ​wasn't that a wondrous and terrible turning? 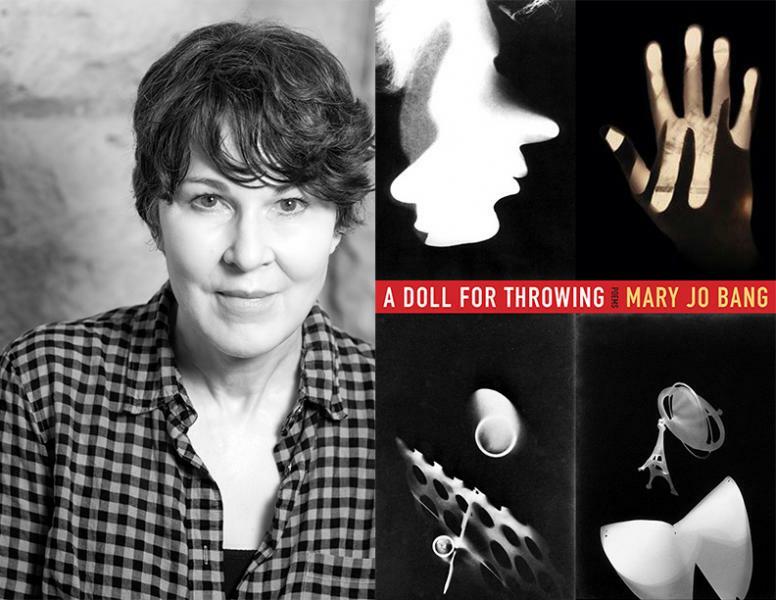 Poet and WUStL professor Mary Jo Bang will be launching her new book, "A Doll for Throwing" at Left Bank Books in the Central West End on Thursday, August 30th, at 7:00pm. Centering on the Bauhaus art community in the years leading up to its elimination by the Nazis in 1933, her groundbreaking work takes a collective movement, a way of understanding the world, a series of art works themselves, as the "voice" of her poems. The title itself refers to the work "Wurfpuppe" by Alma Siedhoff-Buscher, which is a "flexible and durable woven doll that, if thrown, would land with grace." The event is free and open to all. 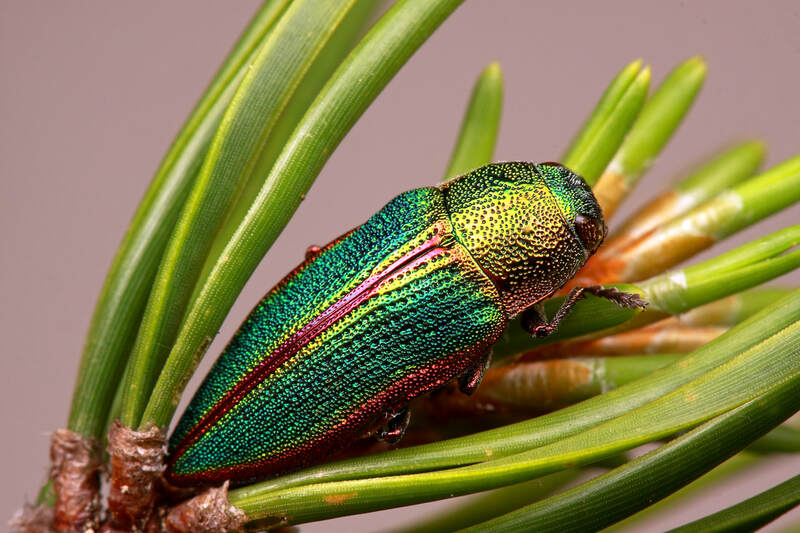 Rachel Hadas' 1998 poem "The End of Summer" speaks to that time when the "sweet smell of phlox drifting across the lawn" portends an end to August and our confrontation that September--and Fall--are coming. How do we confront the loveliness and the work to be done as winter approaches? Poems like Hadas' remind us that "not light but language shocks us out of sleep" as she urges us to "redeem the time". ​An early warning of the end of summer. "Lewis earned her MFA from NYU’s Creative Writing Program where she was a Goldwater fellow in poetry. She also earned a MTS degree in Sanskrit and comparative religious literature from Harvard Divinity School. 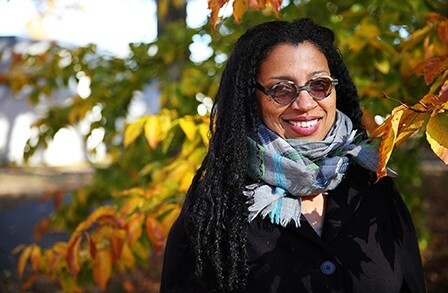 She is a Cave Canem fellow and was awarded a Provost’s fellowship in the Creative Writing & Literature PhD Program at USC...Lewis has taught at Wheaton College, Hunter College, Hampshire College and the NYU Low-Residency MFA in Paris. Born in Compton, California, her family is from New Orleans." ​We hope you'll come by for a cuppa and stay for the beauty and insight of poetry among friends. Save the date! 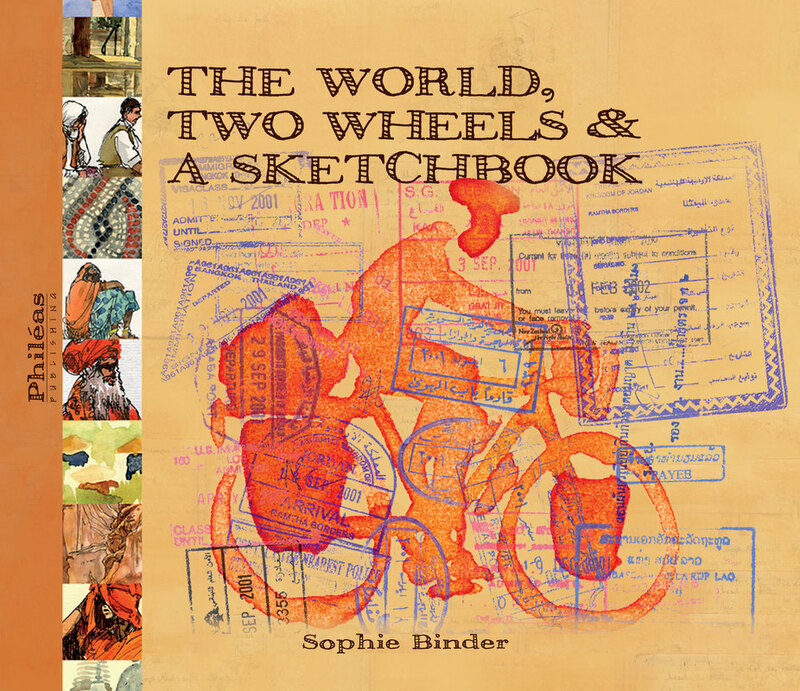 On Tuesday, September 12th at 6:00pm, St. Louis-based artist and author Sophie Binder will be speaking at The Green Center about her 2001 odyssey around with world with, you guessed it, two wheels and a sketchbook. ​In April 2001, she quit her job and put all her belongings in storage to fulfill a longtime dream to bicycle and sketch her way around the world. What followed was a solo adventure that would take her through 16 countries across Europe, the Middle East, India, Southeast Asia, New Zealand and the U.S., pedaling 14,000 miles in 14 months. 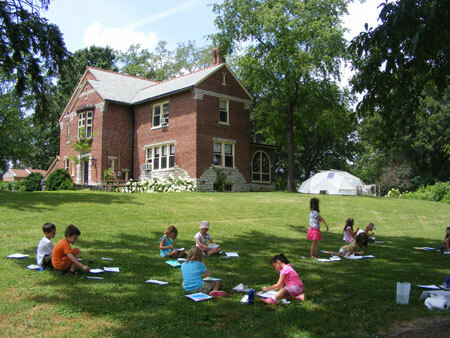 She came back in June 2002 with seven sketchbooks full of watercolors and stories. ​She will share some of her art, several of her stories, and many of the insights she gained about the unity in variety of the human experience, and the beauty and empathy to be seen and shared on this third planet from the sun. ​Breathe on me still, star, sister. ​While syntactically a simple address and request of a star to do one thing (Star...Breathe on me...), what that star is and does is very complicated. The star "looked", "picked", "bent", "put", "breathed upon" a stone. That stone is itself special (or is it?). It is has been "picked from" others, is "half iron and half dirt", "burn[s] / Uncertainly, among the stars" who have now become "its sisters". In the end, the speaker's request that the star "Breathe on me" is capped with the wonderfully complex "still, star, sister". To ​keep breathing upon the speaker, and to address that to a "star" who is a "sister" in a poem titled "The Meteorite" is to send us back again and again through the short lyric to sort out who begins a star, who becomes a star, and who remains a star. ​That is the point, and that is the beauty of poetry. ​...today at 4:00pm would be a wonderful opportunity, as The Green Center Tea Society welcomes all to cool off, have a snack and chat about Meena Alexander's poem "Lady Dufferin's Terrace". As always, no poetry experience necessary! 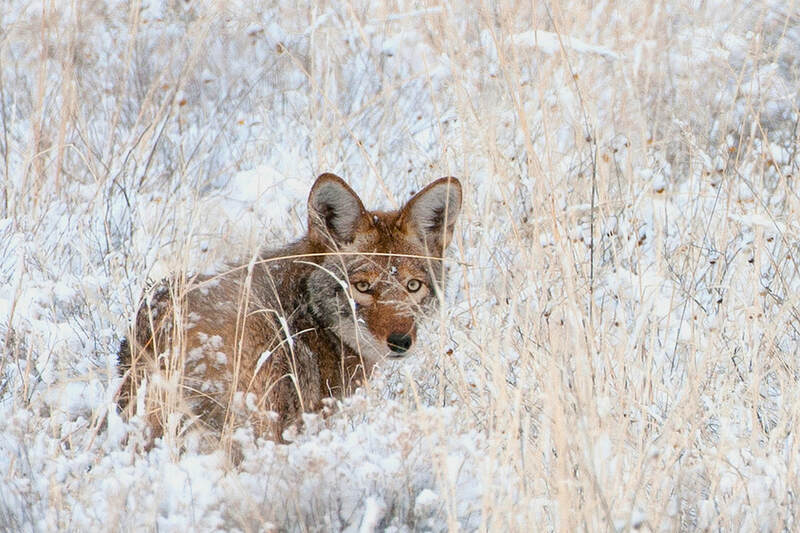 Please join us for a reception at The Green Center to celebrate the achievements of WGNSS photographers. sun urging purple blossoms from baked stems..."
​Join us tomorrow at The Green Center at 4:00pm for a discussion of Naomi Shihab Nye's poem "Last August Hours Before the Year 2000". Nye was born in St. Louis and grew up in San Antonio, Texas and Jerusalem. Though it's not August yet, we still see "baked stems" all around, and as the poet says: "What better blessing than to move without hurry under trees?" Stay cool with us under the trees and celebrate Nye's poem with friends new and old. ​"...To a green thought in a green shade..."